Decided to go dark for this font. 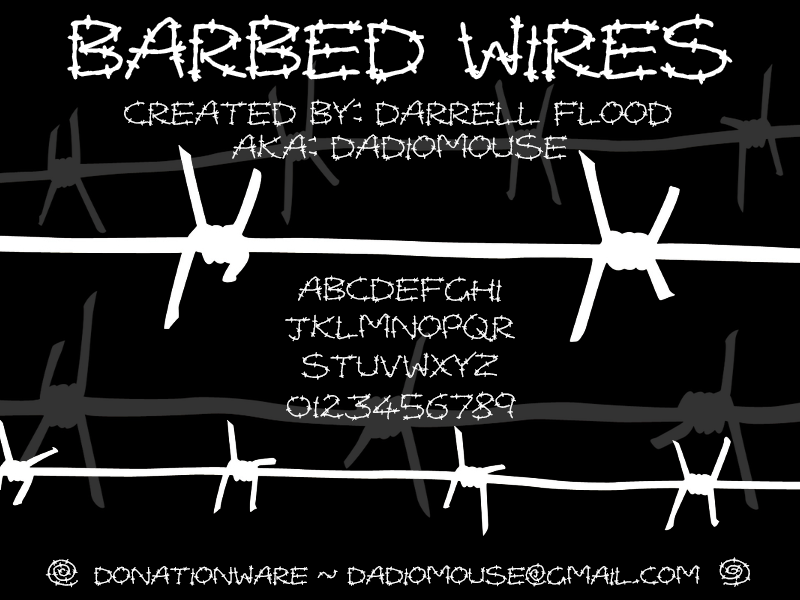 I figured barbed wire could work well to form letters & could be used for various scary/horror purposes. Site launch! – Howdy stranger! Yeehaw! After much procrastination & unanticipated trials & tribulations, the Hawtpixel site finally launches! Here you will find everything released under the Hawtpixel banner: fonts, assets & games. 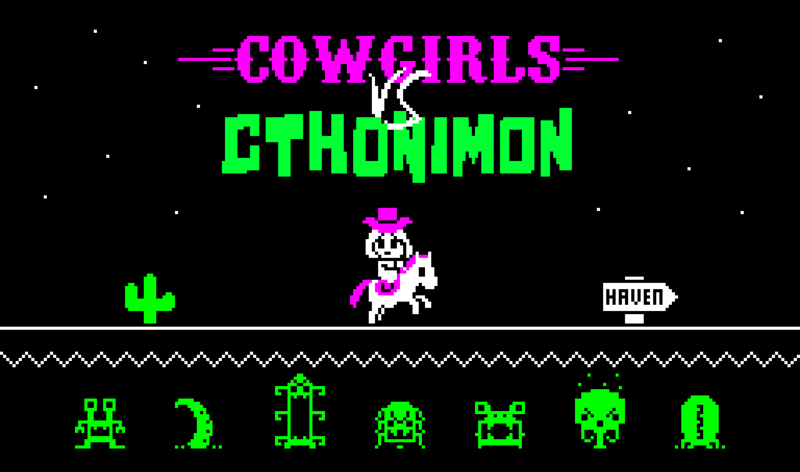 Currently, all focus is on preparing the Kickstarter for our first major game release: Cowgirls Vs Cthonimon. A retro-styled, procedurally generated action RPG with a wild-west meets Lovecraftian horror flavor. The Kickstarter campaign for this title will hopefully begin at the end of December, with the game release itself scheduled for Summer 2017. Stay tuned folks!